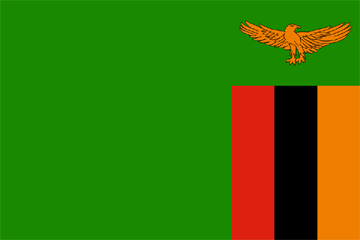 A1 Overseas International ships to Zambia! Call 1-800-450-5319 or fill out our form for a FREE quote! If you have ever dreamed about what it would be like to travel in the country of Zambia, you will have a much better experience if you have your own vehicle. A car can be transported to Zambia either by boat or plane, but it is more practical to have your vehicle transported on a ship. A1 Overseas International can get your car delivered to Zambia as long as it meets the requirements. When it comes to transportation, there are a couple options to choose from. If you want to save as much money as possible, make sure to purchase the roll on roll off method. A1 Overseas International has this option available if you are looking to have your car delivered to Zambia. If you plan on staying in this country for a long period of time you might want to consider an alternative shipping method. Another way to transport a vehicle to Zambia would be in a container. This is slightly more costly than the roll on roll off method, but it will give your vehicle shelter from the harsh weather conditions that the open ocean is likely to provide. This shipping option is also less strict when it comes to preparation for international travel. Inspect the vehicle and document all damages. Disable to car alarm if your vehicle is equip with one. Contact 1-800-450-5319 or fill out the form for more information and a FREE quote!